For the first time, a drug is indicated specifically for BRCA-mutated breast cancer. The US Food and Drug Administration (FDA) has extended the approval of olaparib (Lynparza, AstraZeneca/Merck & Co) to include the treatment of metastatic breast cancer in patients who carry the specific inherited BRCA mutation. These patients can be identified by using the FDA-approved genetic test, BRACAnalysis CDx (Myriad Genetic Laboratories). About 10% to 15% of patients with any type of breast cancer have a BRCA mutation, the agency notes. Olaparib acts as an inhibitor of the enzyme poly-(ADP-ribose) polymerase (PARP), which is involved in the repair of damaged DNA, it explains. 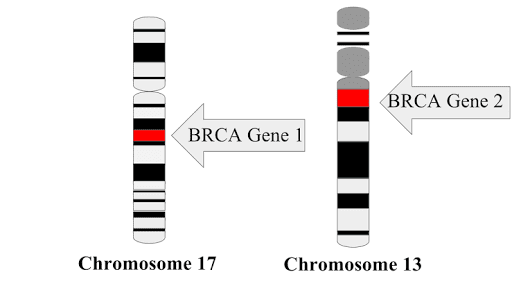 By blocking this enzyme, DNA inside the cancerous cells with damaged BRCA genes may be less likely to be repaired, leading to cell death and possibly a slowdown or stoppage of tumor growth. Olaparib is already approved for use in germline BRCA-mutated ovarian cancer. The initial approval, granted in 2014, was for use in BRCA-mutated advanced ovarian cancer in patients who have received three or more treatments of chemotherapy. Earlier this year, the FDA granted approval for maintenance use in patients with recurrent epithelial ovarian, fallopian tube cancer, or primary peritoneal cancer whose tumors have completely or partially responded to chemotherapy.